The refectory was the room in which the monks had their meals everyday. 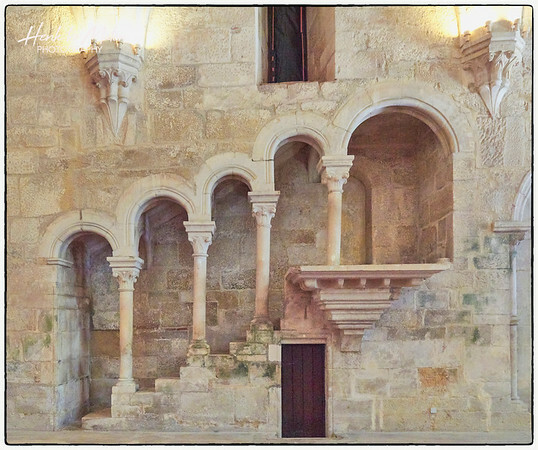 While they ate, one of the monks read aloud passages of the Bible from a pulpit, which in Alcobaça is embedded on one of the walls. The access to the pulpit is done through an arched gallery with a staircase. The pulpit is one of the most harmonious architectural structures of the monastery. Like the dormitory, the refectory has many pillars separating aisles and is covered by early gothic rib vaulting.